If you want to see these lashes in action, check out my last post here. The lashes look gorgeous on and despite their bold look, they're quite wearable. They are reusable, so you can wear them again and again. To keep their shape, though, avoid coating them with mascara. 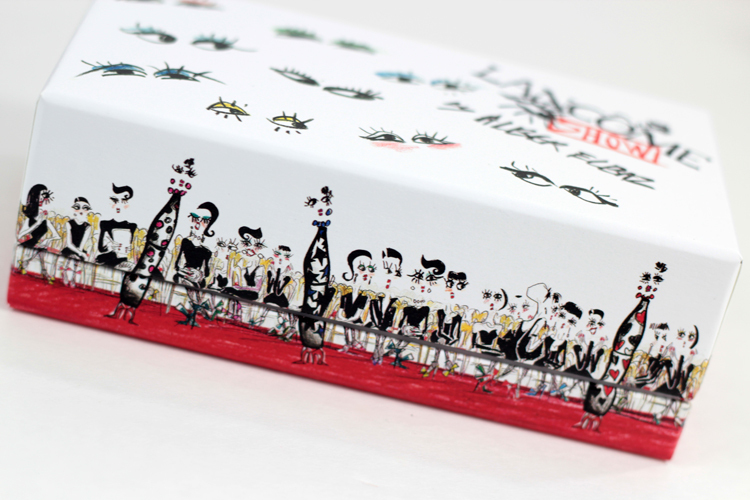 The lashes come in a beautiful collector's box & their own clear lash glue. This giveaway is open worldwide & will end on Friday, July 5, 2013 at 11:59 PM EST. I would love to win! Officially entered!! These would be perfect for my upcoming wedding! Enter me! It would be amazing to try some high end lashes! So pretty! :o I'd love to be entered! Thanks for the giveaway! Thanks for sharing these, good luck to all! Love to win! Thank you! thanks for the giveaway! their packaging is SO beautiful!! Lancome never fails! Great products and great packaging ! And you look very pretty ! Lovely giveaway! The lashes looked so glamorous on you :) Thanks for the chance to win a pair. Thanks for the great giveaway. The package is too cute! Oh my god this packaging is adorable! Love it. These are so pretty! I would love to win a pair! I'd really love to win a pair! My Bay location didn't get them in... only the downtown bay an hour away, so I missed out! Thanks for the giveaway! would love to enter!! XD these lashes look so pretty! The packaging is perfect :) I would love to win one. Thanks for this giveaway! I would like to be entered please! these look so cute! I'm going to have to get a mascara! Cute, cute, cute!! The lashes look amazing! Beautiful collection - will be picking up the classical Hypnose mascara! Thanks for giveaway! Omg these eyelashes look so delicious. Flirty yet natural, my favourite kind of eyelashes. I would love to be entered! They look amazing! Wow what an awesome giveaway!!! Thanks!!! 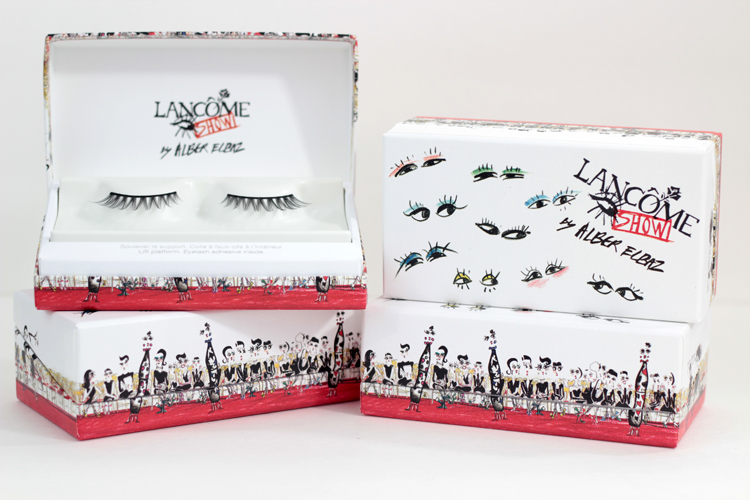 The lashes have to be my favourite from the collection! This looks great! Enter me! The lashes look so dreamy! Thanks for the giveaway! Love those lashes! Good luck everyone! Ooh pretty. The box alone is fabulous. Sooo...I found your blog looking up Debirah Lippmann swatches on google-love it! Oh, and you're giving away false eyelashes that I'm dying to try?!? SCORE! The packaging is soo adorable! I just want to hold it... or leave it on my vanity! New subscriber here! :D What a great giveaway! Your blogs and vids are awesome! 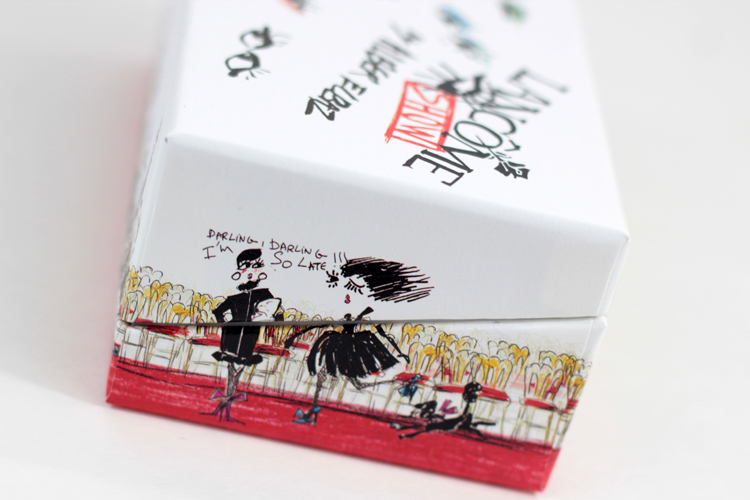 pretty packaging, count me in - thank you! This looks gorgeous! I'd like to enter! I just got the mascara just for the packaging so these lashes would be a great little addition!! Thanks Aleeza! These lashes looks amazing!! I would love to win them!! These lashes are so pretty! Thanks!